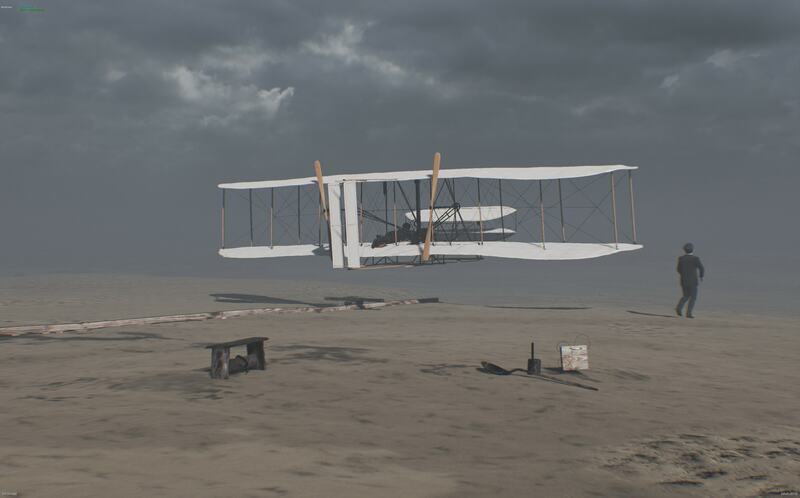 The Wright Brothers are the first to achieve powered, manned flight. 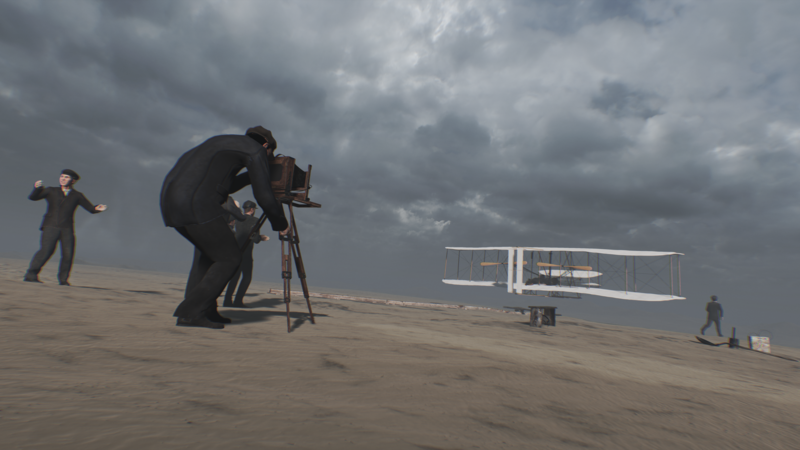 Although the flight only lasted for 12 seconds and only went 120 feet, it solidified the Brothers’ place in history and changed the way the world communicated forever. FIRST was a groundbreaking educational VR experience when it was first demoed to the VR community in 2015. Working hand in hand with the world’s leading experts from the Smithsonian’s National Air and Space Museum in Washington, D.C. (Dr. Peter Jakab, Head Curator, and Dr. Tom Crouch, Senior Curator), FIRST depicts the groundbreaking achievement of powered flight by Wilbur and Orville Wright on the sand dunes of Kitty Hawk, North Carolina on December 17th, 1903. The project was initially co-sponsored by Advanced Micro Devices (AMD) to showcase their prototype graphics card (released later as their Radeon R9 Fury X card). We worked in close partnership with AMD, as well as the engineers at Oculus, to make sure the experience could be demoed on the Oculus Crescent Bay prototype headset (9 months before the release of the Rift). FIRST was initially shown to journalists at AMD’s private booth at E3 in June 2015, and then subsequently at industry events over the next few months including Comic-Con, SIGGRAPH, and the Toronto International Film Festival. From this initial “summer tour,” FIRST was extremely well-received by major publications, including the Financial Times and Fortune, who wrote rave reviews and named it one of the best VR experiences at the time. A selection of articles and videos about the piece is provided below. © CGO Studios. All Rights Reserved 2019.